Education Secretary DeVoss at her Senate confirmation hearing in 2017. She was controversially appointed to the cabinet post with an eye on consolidating or eliminating the U.S. Department of Education. A controversial proposal to merge the U.S. Departments of Labor and Education was formally announced this week, and if approved, it may have an indirect impact on the school bus industry. 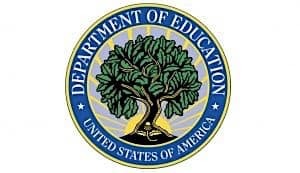 The Trump administration proposal to merge departments may develop into a major fight, since the Department of Education (DOE) provides the block grants to states for education operations. Since DOE was officially created in 1979, it is not only the newest presidential cabinet-level department in Washington, D.C., it is also one of the smallest. It therefore may be an easier and quicker merger to consummate then the experts currently believe. 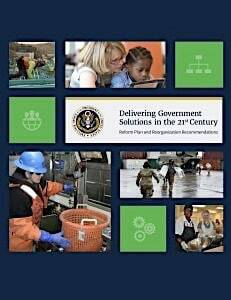 The new department would combine offices from several federal agencies. It now boasts a staff of 4,400 employees (the number varies according to the source) and $68 billion annual budget. While not allocating money directly to school buses, industry experts report that DOE does provide guidance through the Office of Civil Rights (OCR) and Office of Special Education Rehabilitation Services (OSERS), plus Safe and Healthy Students, on many issues. Those range from investigating infringements on student rights under the Individuals with Disabilities Education Act, to formulating guidelines on bullying, that have an impact on school buses and their operations. PBS quoted Sen. Lamar Alexander, R-Tenn., chairman of the Health, Education, Labor & Pensions Committee, which has oversight of the two departments that might be merged, indicated he was open to changes. “I think it’s always wise to look for greater efficiency in how our government operates and will study the proposal carefully,” he said.